Seller giv me so many sample. Thank u seller. This is my first time to try this facial product making from South Korea. The packaging is simple and not attractive, but hopefully the cream is good. RECEIVED IN GOOD CONDITION. THANKS FOR THE FREE GIFTS. The cream was great. I love it. Thanks seller for all the fee gift 🎁. Worth to buy,seller give so many free gift. Thanks!! Hello seller all items is available now?? And when the expiration date?? HI when will the sales available? 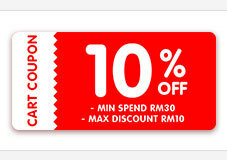 Is the promotion on 1+1 RM39 still on? When will you launch this promo again? pls notify me. When will you make promotion again? May i know had my parcel sent out already? And also when can received the item. We’d like to appreciate your purchase. Your parcel was sent out in December 1, can be checked a number to track them in 1~2 days later, it takes about 3~5 days to be delivered in business day. hi, is it sticky to face when we applied ? I send you snow white line video clip.